In a previous blog by our Astronomy teacher, Cavin, he discussed the existence of dark matter and energy, which is causing our universe to expand at an accelerated pace. However, this blog is looking at how the universe began, and the discoveries that served as evidence that the universe started 13.7 billion years ago and expanded to its current size. 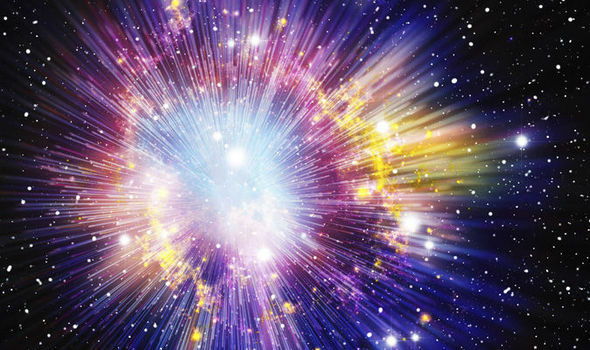 The Big Bang theory, first proposed by Georges Lemaitre, was developed to explain what was happening at and after the birth of our universe – that all matter, time, and energy started from a single point, called a singularity. After the Big Bang (which scientists believe was not really an explosion), the universe expanded rapidly,and is still continuing to expand in all directions. The remnants of this “bang,” which allowed us to understand that the universe is expanding and started from a single point, can be detected with the presence of the cosmic microwave background radiation (CMB) that is all around us. This optically-invisible radiation was first detected by Robert Wilson and Arno Penzias in 1964 using a radiometer at Bell Labs in New Jersey. The scientists were awarded the Nobel Prize in Physics in 1978 for their significant discovery. Our “vintage” TV sets, which utilized a cathode ray tube to produce an image, and analog radios, are able to pick up radio and microwave signals where 1% or less come from the CMB. The static white noise you hear is your TV or radio tuned to the Big Bang! Unfortunately, with the dawn of the digital age, and with that, the obsolescence of analog devices, we do not get the chance to listen to the symphony of the universe as often; however, it’s nice to know that when you get tired of listening to Migos, Mozart or Madonna, you can always turn on the radio and listen to the soothing sounds of the Big Bang**!